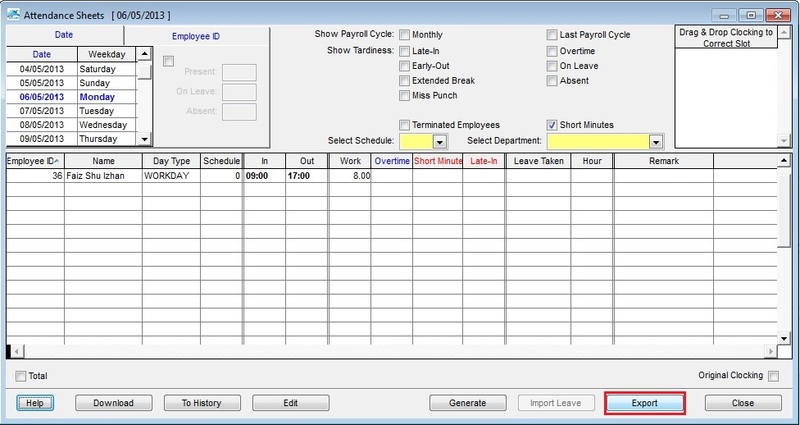 TCMS V2 is a comprehensive and powerful management software designed exclusively for FingerTec's facial, fingerprint and card system terminals. Part of what makes the software so flexible is its ability to export data for integration with third party applications. 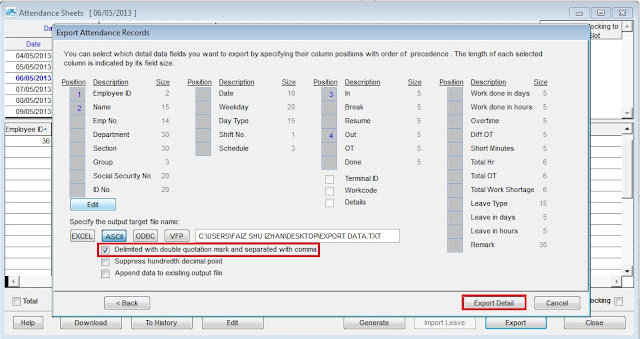 Read below for a step-by-step guide on how to export data from the TCMS V2's Attendance Sheet into comma-separated value (CSV) format. 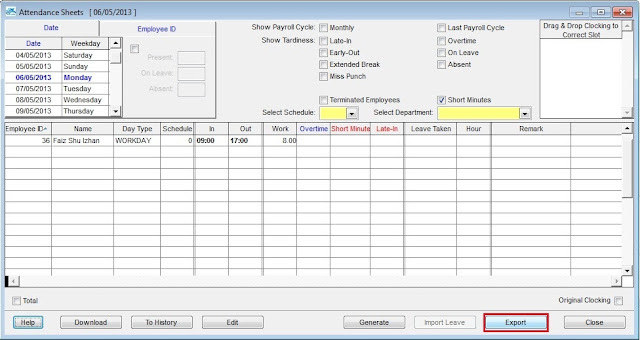 Open the TCMS V2 software > Attendance Sheet > Click Export. 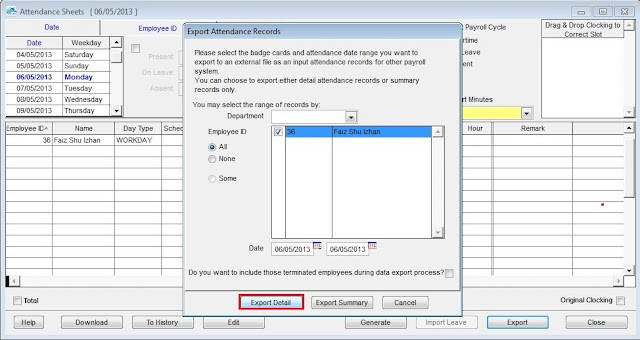 Select the Employee ID and range of Date to be exported > Choose between Export Detail or Export Summary. Tick on Delimited with double quotation mark and separated with comma > Click ASCII > Voila! The exported file will have the CSV formatting. 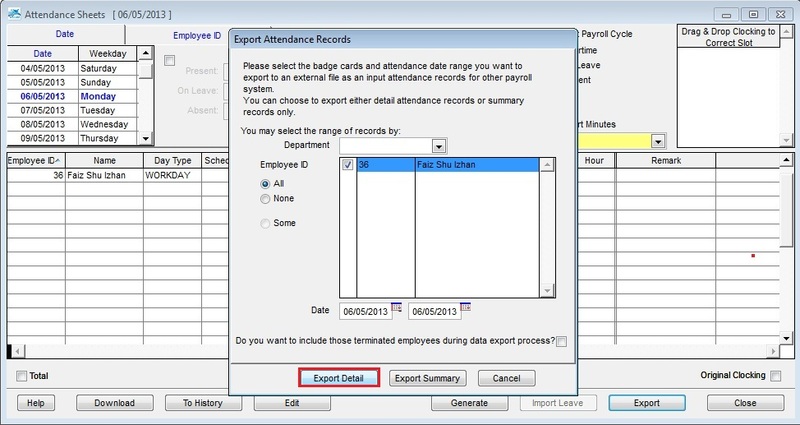 169 : Export Attendance Records .